2018 Was Year of the Worker Thanks to President Trump! Job numbers released yesterday through the end of December show an increase of nearly 5 million jobs since President Trump won the 2016 election and an unemployment rate of less than 4 percent. After the same period under Obama, (4) million jobs were lost and unemployment skyrocketed to 9.3 percent! President Trump’s economic results could arguably be the best all time. 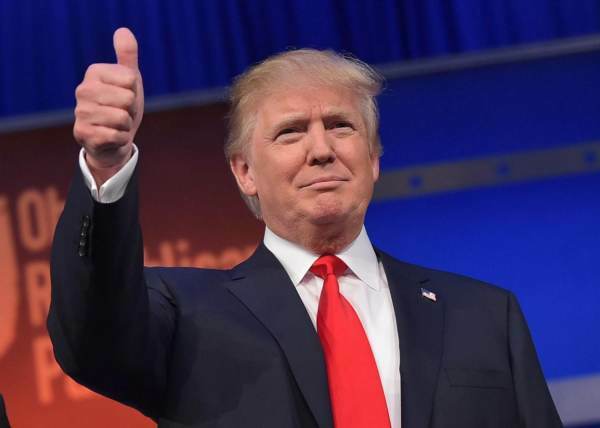 According to data released yesterday by the Bureau of Labor Statistics, President Trump has added nearly 5 million jobs in the first two years of his administration. The same cannot be said for President Obama’s first two years as he lost 4 million jobs. Obama was so bad at creating jobs that by the end of his second term he said that jobs were not coming back. This showed in his first two years with millions of lost jobs. Overall President Trump has gained nearly 9 million more jobs than Obama in their respective first two years in office! According to the Bureau of Labor Statistics, under President Trump more Americans are in the work force than ever before and 2018 was the year of the worker. President Trump is working hard to bring good paying jobs back to the US and his efforts are showing historic results. Also according to the Bureau of Labor Statistics the US unemployment rate at year end remained at historic lows of less than 4 percent. Rates for Hispanics have never been lower. President Obama on the other hand again moved in the opposite direction. At the end of his second year in office the unemployment rate in the US was more than 9 percent (9.3). Manufacturing jobs are coming back to the US because of President Trump. The mainstream liberal media won’t report this, but when looking at the economy and jobs, the billionaire President Trump is providing a tutorial for any former community organizer that might hope to be President some day. Previous Previous post: Mueller Attorneys Caught Withholding Information in Court – When Will the Judge Realize the Mueller Special Counsel is Criminal Gang?